The very first Beauty Guru I ever watched on YouTube was Tanya Burr, I can’t remember her exact subscriber count at the time, mostly because I had no idea what it really was or meant, but I do remember she only had about 10-20 videos on her channel, and the first one I watched was the Blake Lively from Gossip Girl tutorial, I instantly fell in love, Tanya reminded me so much of myself, and I watched every single one of her videos that day. About a year went by and she had uploaded a tutorial on something and she used a product, which I can’t remember what it was, and I had seen a lot of the Beauty Guru’s using it, so I asked in the comments if she would do a review, I got so many people saying , “yes, please do!”, but she never did it, so after about 3 months I went out, bought it myself, and uploaded my very first video! Since then I have had so much fun making videos and writing my blog posts, I know I slack off from time to time but I do still have a business to run, and sometimes that has to take priority, however I am feeling rededicated to uploading and blogging again, which works out perfectly because in 2 weeks starts the 25 Days of Christmas Giveaway!!! 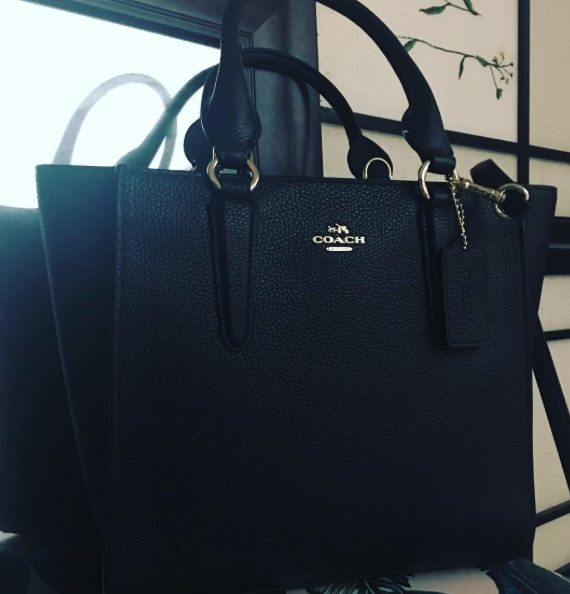 I want to say thank you so much for all your love and support on my blog and youtube channel, and thank you for your understanding when I do slack off, so as a way of saying this Thank You I am giving away this really cute Coach Crosby 24 Carryall Leather Satchel. The winner of this giveaway will be announced on December 1, 2016 along with the monthly giveaway, and to be entered it’s really easy you just have to be subscribed to my YouTube channel, as always you can earn extra entries by going through the form below and following my here on my blog and my social media. Again I just want to say thank you so much , this means the world to me, and the fact that it’s happening just be for the holidays get into full swing is just icing on the cake! Here is the video showing off the bag, unfortunately it’s not available at Nordstrom anymore, but I did keep the tags on so you can see it’s authentic! So beautiful I actually just checked out the advent CalanDer post and I'm doing that for my toddlers it's way better than getting them a cheap chocolate calendar.I'm Mommy Reviews on YT. Congrats on 2000 subs.This is such a beautiful day classy bag. Good luck everyone and thank you Katie for being so awesome and generous.